Another prominent member of the Trump administration is out. This morning, Pres. Trump tweeted that Mike Pompeo—who is the previous director of the CIA—will replace Rex Tillerson as the Secretary of State. According to press secretary Sarah Sanders, Trump asked Tillerson to step aside from the role. Senior @StateDept officials tell @NBCNews' @mitchellreports that while there had been longstanding tensions, #Tillerson found out he was fired from #Trump’s tweet. Yesterday, he diverged from the official White House story about a serious story involving Russia. On March 4, a man described as a Russia double agent and his daughter were poisoned by what British Prime Minister Theresa May described as a “military grade” nerve agent in the U.K. 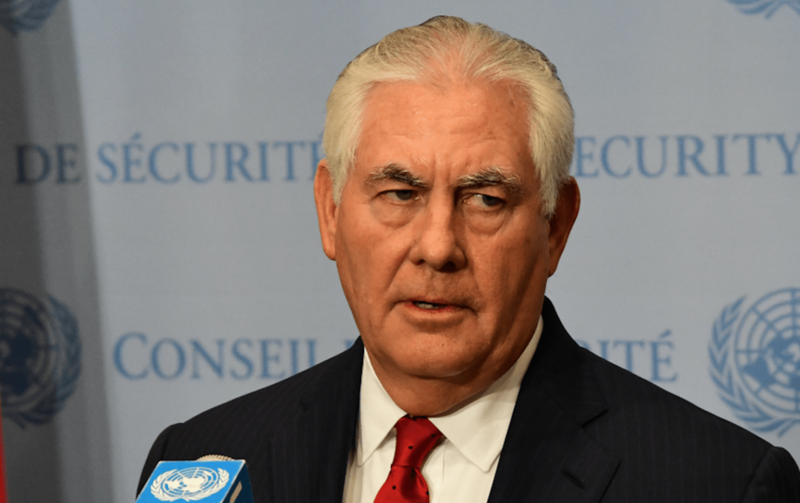 Both the British government and Tillerson believe Russia was involved. We have full confidence in the U.K.’s investigation and its assessment that Russia was likely responsible for the nerve agent attack that took place in Salisbury last week. There is never a justification for this type of attack—the attempted murder of a private citizen on the soil of a sovereign nation—and we are outraged that Russia appears to have again engaged in such behavior. From Ukraine to Syria—and now the U.K.—Russia continues to be an irresponsible force of instability in the world, acting with open disregard for the sovereignty of other states and the life of their citizens.